NASFAA is thrilled to have ABC News Veteran and Host of "What Would You Do?" 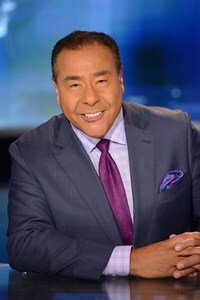 John Quiñones as the opening session speaker on June 26 at the 2017 NASFAA National Conference in San Diego, CA. A lifetime of "never taking ‘no’ for an answer" took Quiñones from migrant farm work and poverty to more than 30 years at ABC News and the anchor desk at "20/20" and "Primetime." Along the way, he broke through barriers, won the highest accolades, and became a role model for many. As host and creator of "What Would You Do?" the highly rated hidden camera ethical dilemma news magazine, Quiñones has literally become "the face of doing the right thing" to millions of fans. It’s a role that he has enthusiastically embraced off camera, with a popular book and keynote presentations that challenge both business and general audiences to examine the "What Would You Do?" moments we face every day. Known for truly connecting with audiences, Quiñones delivers a powerful message of believing in one’s self, never giving up, and always, always doing the right thing.